TETSUYA KOMURO also known as TK was born in Tokyo on the 27th of November 1958. Made his debut in 1984 with the group TM Network, which changed its name to TMN in 1990. In 1987 he gained a number one hit on the singles chart with “Get Wild”, his 7th single to date. While continuing with his unit work he began solo projects in 1985, creating an animation soundtrack and establishing himself as a top composer, supplying songs for other artists culminating with Misato Watanabe’s “My Revolution” in January 1986. He continued to produce a great number of top idols as well as forging his own solo singles and albums. In 1992 he strung together a host of hit songs including “EZ DO DANCE” with Japan’s first techno-rave unit, TRF. After putting TMN on ice in April 1994 he created TRF and along with Ryoko Shinohara, “H jungle with T”, Tomomi Kahala, Namie Amuro and globe(in which he also performed) he made his foray into artist production in a major way. In the 15th April 1996 edition of Original Confidence he managed to cover the top 5 songs with hits from Tomomi Kahala, Namie Amuro, globe, dos and TRF. He then went on to continually set sales records for his works. For 4 years running from 1995, he took out consecutive major industry awards here in Japan. In 1997 he broke Taiwan’s “Ring” and Honk Kong’s “Grace”. Ring’s first single remained in the top position on the charts in Taiwan for a record 5 weeks. With Globe in 1997 he became the first individual to occupy 4 places in the top 10 singles charts ever. He opened numerous Dome Tours of Japan with globe and began to aggressively participate overseas musically. In May 1997 TRF, globe and Namie Amuro had their first overseas performance and pulled a crowd of 40,000 people in Taiwan. After this they played a series of concerts in China to celebrate the 25th anniversary of the normalisation of ties with China and achieved great success in Beijing, Shanghai and Hong Kong. He also participated in the “Speed 2 “ movie soundtrack and collaborated on the 1998 Soccer World Cup official album with “ Aallez! Ola! Ole!”. He then performed in front of 1 million people in front of the Eiffel Tower at the Paris Festival with Jean Michel Gearl, played at the first anniversary celebrations of Hong Kong’s return to China and at the invitation of the Guam Tourist Bureau they did the overall production of the Guam Illumination as honorary ambassadors. In the same year he opened a disco in Shanghai called “Rojam” and a total musical contents provider of the same name in Shanghai and Hong Kong. In January 1999, he started an Indies label in New York called “TRUE Kiss DiSC” and started playing himself in “Kiss DESTINATION” and also reunited TM NETWORK making the number of units he was actively playing in 3 (globe, TM NETWORK, Kiss DESTINATION) and showing a different side of himself in each role. In January 2000 he was appointed by the then Prime Minister, the late Keizo Obuchi to act as overall musical producer to July’s Kyushu/Okinawa summit and also composed the theme song for the event, ”NEVER END”. In March he visited the UN drug control planning convention in Vienna and was awarded honorary membership of the UNODCCP. In July, as overall producer for the Kyushu/Okinawa summit he released the theme song “Never End”. In October he then participated in UN conferences at headquarters in New York. In November he took part in Tokyo stage of the “Yes To Life” tour as part of his work in stopping the use of Drugs in Japan. In December he started a National tour with TM Network. On New Year’s Day 2001 he performed an Arthur C Clarke piece with Jean Michel in “2001 Rendezvous in space Okinawa”. On the first of May 2001 he moved his music to Yoshimoto Kogyo. On the 31st May 2001 his new production house, “Rojam Entertainment Holdings Limited” was floated on the Hong Kong market. In September 2001 he combined with Dragon(DJ) and visual designer, Daisaburo Harada to make a new trance techno unit known as Gaball and released their debut album, “Represent_01”. In November he covered The Supreme’s “Stop in the name of love” as the theme song for Fuji Television’s drama series, “Star Love” and was globe’s first cover song. In the same month he held Gaball’s first live performances at Zepp Tokyo and Nagoya’s Club Ozon. 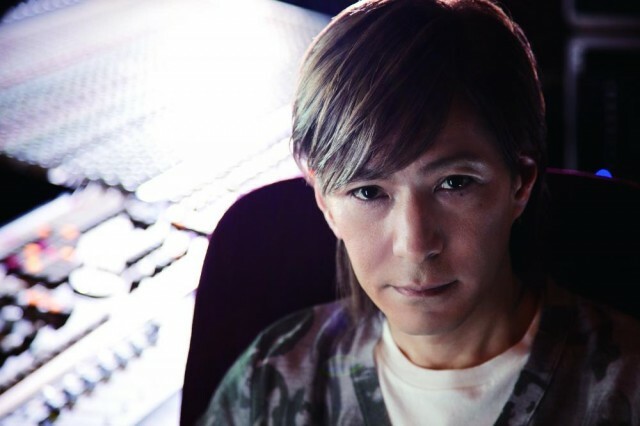 On the 5th of December (01) he released globe’s 25 single as the ending theme to Tokyo Television’s animation “Cyborg009”. On the 8th of the same month he held the “globe special live” at Tokyo Bay’s NK Hall. In response to the terrorist attacks on New York in September 2001, Komuro released 3 singles and one album as charity CDs and donated a percentage of the sales to the UN headquarters in New York.